Home > Uncategorized > 2 Pairs Of Jos. 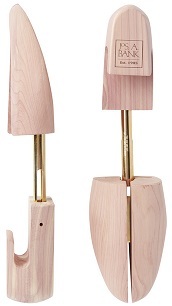 A Bank Aromatic Cedar Shoe Trees Only $20 + Free Shipping (Thats Just $10 Per Pair)!! December 5, 2018 Comments Off on 2 Pairs Of Jos. A Bank Aromatic Cedar Shoe Trees Only $20 + Free Shipping (Thats Just $10 Per Pair)!! Jos. A. Bank has the Jos. A Bank Aromatic Cedar Shoe Trees for $25, but if you add 2 to your cart (thats 2 sets of 2 shoe trees) the price will drop to just $20, thats only $10 per pair of Cedar Shoe Trees!! Plus get free shipping on all orders!